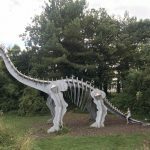 On the way home from the seaside in the summer holidays we stopped by to go see the dinosaurs in what was the iron master district of Middlesbrough if your passing the area and your kids love dinosaurs it’s well worth a look. 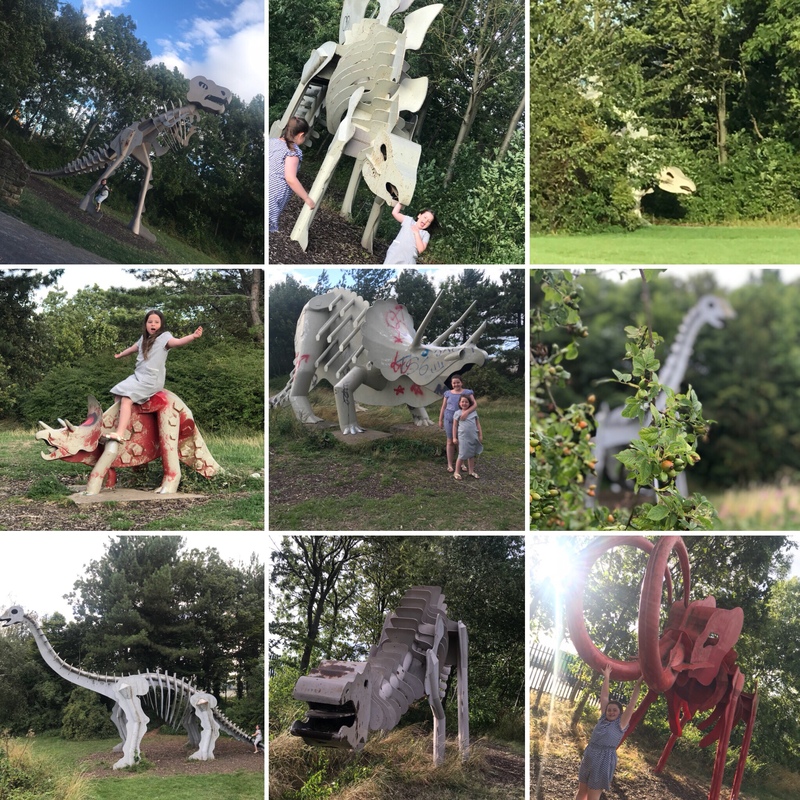 Teessaurus Park is a 10 acre urban grassland recreational area and sculpture park which opened in 1979 in the Riverside Park light industrial estate which is located on the southern bank of the River Tees. 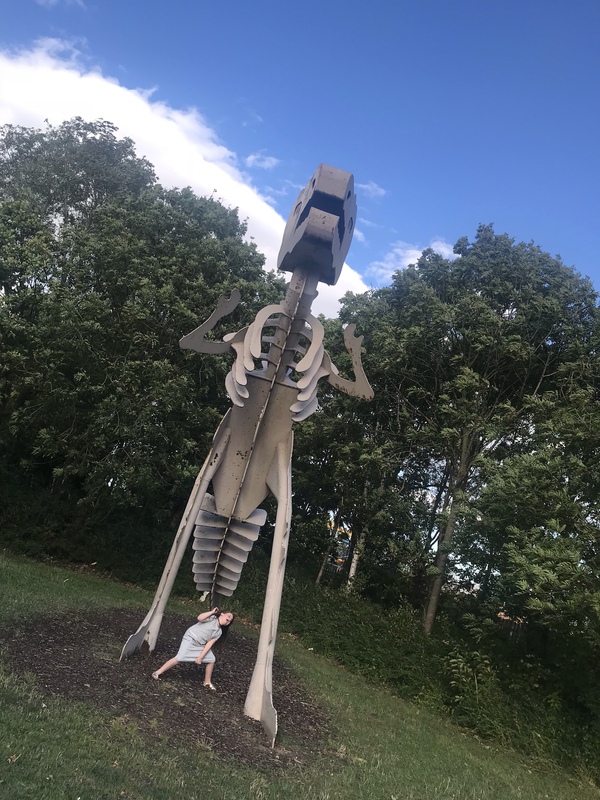 There is a small car park in front of the park and a walk around maybe takes 10-15 minutes, just be careful with little one’s near the river tees as it’s a big drop down to it and no railings. The sculptures have been vandalised as you can see but that wouldn’t put me off going back, they were still enthralling as many of them are positioned to look as though they are emerging from the bushes. 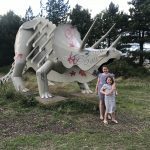 The girls had lots of fun exploring the area and if the weather is good you could easily take a blanket and a picnic along to enjoy too. The postcode for sat nav is TS2 1QE, it is alongside the route of the Teesdale way. Let me know how you find your visit below. Also if you like my blog please click the follow button to get updates on new posts. I am also on social media you can find all the links on here to follow me.